A cookie is a small amount of data, which often includes an anonymous unique identifier that is sent to your internet browser from a website’s computers and stored on your computer or mobile device. Each website can send its own cookie to your internet browser if your internet browser’s preferences allow it, but (to protect your privacy) your internet browser only permits a website to access the cookies it has already sent to you, not the cookies sent to you by other websites. Most cookies won’t collect information that identifies you, and will instead collect more general information such as how users arrive at and use our website. 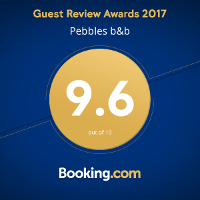 What sort of cookies does PebblesHouse.co.uk use? Some cookies are essential for the operation of this website. For example some cookies allow us to recognise the searches you have performed on our website and to provide you with information relevant to those searches. If you opt to disable these cookies, your search may not operate correctly. We utilise other cookies to analyse how our visitors use our website and to monitor website performance. This allows us to provide a high quality experience by customising our website to your needs. For example, we might use performance cookies to keep track of which pages are most popular, which method of linking between pages is most effective, and to determine why some pages are receiving error messages. We might also use these cookies to highlight other website services that we think will be of interest to you based on your usage of this website. We use functionality cookies to allow us to remember your preferences. For example, they are used to present you with results that are relevant to searches you have conducted on our website, and to display other content relevant to your searches.